Just in time to start planning your 2015 Walt Disney World vacation, Disney has announced the information for the dining plans. The 2015 Disney Dining Plans include a new quick service location – Starbucks at Downtown Disney’s West Side – and a new table service location, Las Ventanas at the Coronado Springs Resort. Guests who choose to dine at Cinderella’s Royal Table (after the 2015 refurbishment), will no longer receive a picture package as part of the 2 dining credit price. If you’re purchasing the Premium or Platinum dining plan be prepared to pay $5 to $10 more per person. The two dining plan choices will also no longer include the Wild by Design or Backstage Safari options. The participating restaurants are still being added to the list for 2015, so don’t worry if you don’t see your favorites listed. If you are making your plans now you can refer to the 2014 restaurant list. 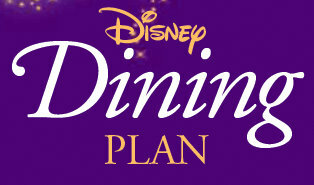 For the most up-to-date information on the 2015 Disney Dining Plans visit the Disney Food Blog’s 2015 Disney Dining Plan page. This entry was posted on Monday, August 11th, 2014 at 12:00 pm	and is filed under Dining, How To, Planning. You can follow any responses to this entry through the RSS 2.0 feed. You can leave a response, or trackback from your own site.